Long, lean, and ready to shred from first to last chair: that's you in a nutshell when you rock the Volcom Winrose Insulated Snowboard Jacket. With a long, straight cut, this jacket provides a fitted look that always flatters. But more important than a stylish look is the technical specs, and this jacket definitely delivers. A 10K waterproofing rating keeps you dry during snowy resort laps, and the 100g of insulation certainly doesn't skimp on warmth. 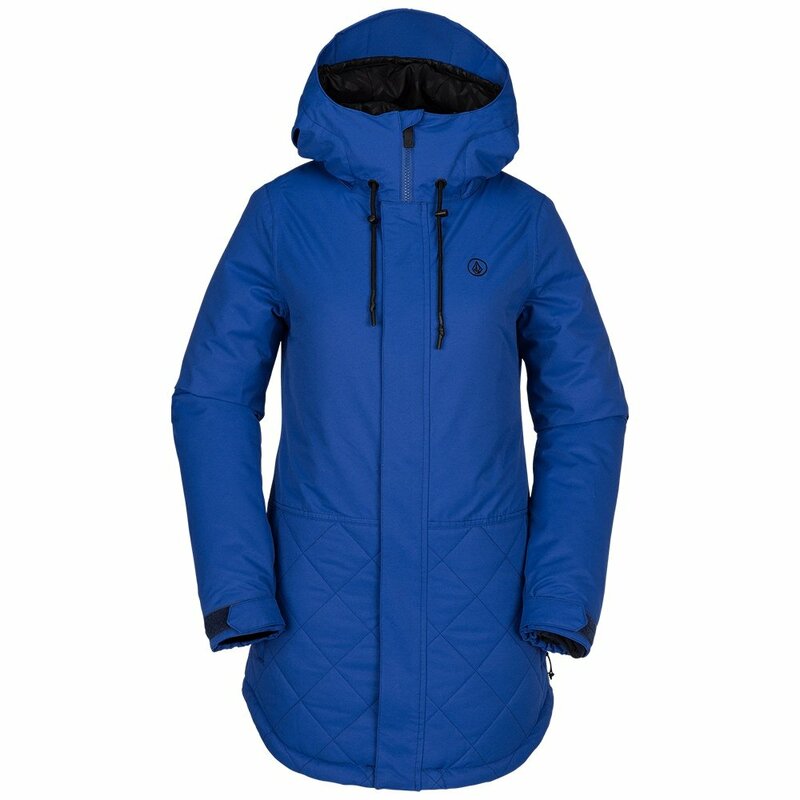 The Winrose Insulated Jacket is designed to be the perfect ski jacket for going from day to night on your next ski weekend. A built-in, adjustable powder skirt creates a fitted barrier against snow. 10K breathability and waterproofing ratings allow your body to breath while staying dry. This jacket’s long, sleek silhouette flatters while still leaving room for layering.